Victoria Robinson Mora is the Development Officer. Victoria is responsible for assisting in the development and execution of strategic cultivation and fundraising activities to help Foundation donors meet their philanthropic goals. In her role, she also develops and implements the Foundation’s legacy program. A Philadelphia native, Victoria graduated with her bachelor’s degree in history and her master’s in museum studies from The George Washington University. 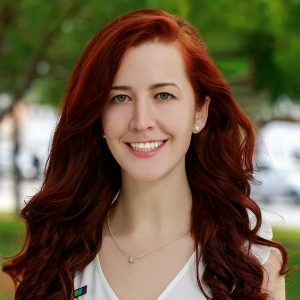 Prior to joining the Foundation team, Victoria worked in development at the Zoo Miami Foundation, the NSU Art Museum and The Academy of Natural Sciences of Drexel University. She currently serves on The George Washington University’s South Florida alumni committee.